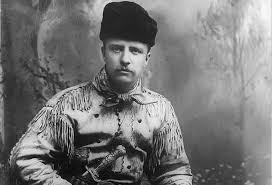 He was born in October 27 1858 in Manhattan, New York City. 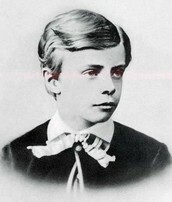 He was a sickly child and he had asthma. He was home schooled and he loved the outdoors and to hunt. 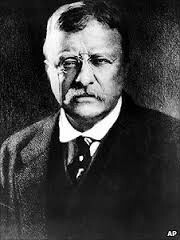 Teddy Roosevelt broke many trusts between big companies so they had to go into small companies. This helped stop monopolies and helped it be far to other companies. It also helped consumers because all the little companies had to make their prices low to battle for buyers. 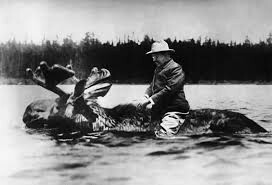 Teddy Roosevelt is riding on the top of a moose across the water. 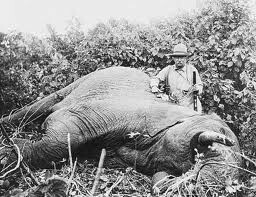 Teddy Roosevelt went big game hunting after his presidential run. He was a rough rider in the war. He bought every thing his troops needed. 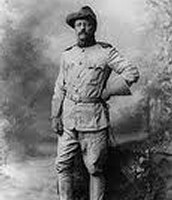 Teddy Roosevelt solved disputes in the Dominican republic, Venezuela, and Monaco. He helped the environment by opening state parks. 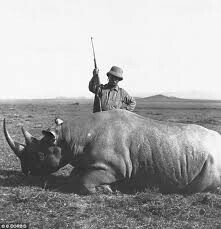 Theodore Roosevelt helped with many things during his presidency. 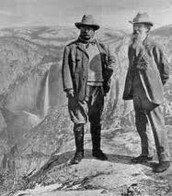 He broke up a lot of trusts, he started national parks. He made a canal across panama to help the citizens get water. 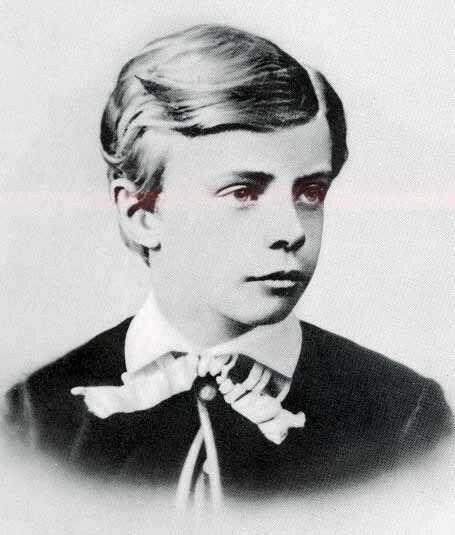 He was the mediator of peace during the Russo-japan war and he won the Nobel peace prize. He helped with the well being of the workers in factories with some of his laws. H did many things to help with the progressive era. 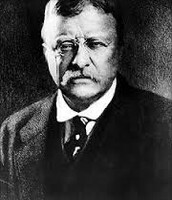 Teddy Roosevelt was the 26th president of the united states. 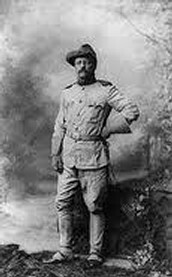 Teddy was a rough rider in the Spanish-American war.